The accolades keep rolling in! 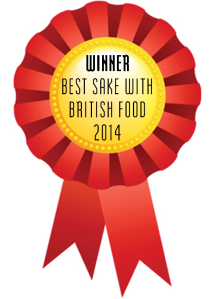 Rocky Mountain has been voted “Best Sake with British Food” at this year’s Sake Experience at Hyper Japan. 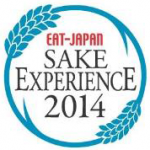 Over 1100 people visited the Sake Experience (a 44% increase on last year). To celebrate our award I’m offering a 10% discount and free delivery for a half case (6 bottles+) of Rocky Mountain! NB – discount only shows after you’ve logged in/registered and added 6 bottles of Rocky Mountain to your shopping cart. Discount only applicable to Rocky Mountain. This is a rustic, raw and earthy sake with malt, caramel and cereal all present on the nose. The flavours are smoothly presented, well-balanced, rich and deep. Again, caramel, malt and cereal are the predominant flavours and, when warmed (30°C – 45°C), Rocky Mountain favours the sweeter caramel notes. So, next time you’re reaching for a full-bodied red to go with your summer BBQ, why not grab a bottle of Rocky Mountain, wow your friends and experience umami matching like never before. Visit the Tengu Sake shop and buy now!